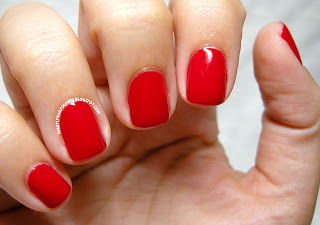 The Thrill of Brazil by OPI is a standard red nail polish. It was originally released in 2002 as part of the South American Collection. Not exactly the most creative color, but don't let that deceive you! It is a fantastic polish and a staple for everyone's collection. 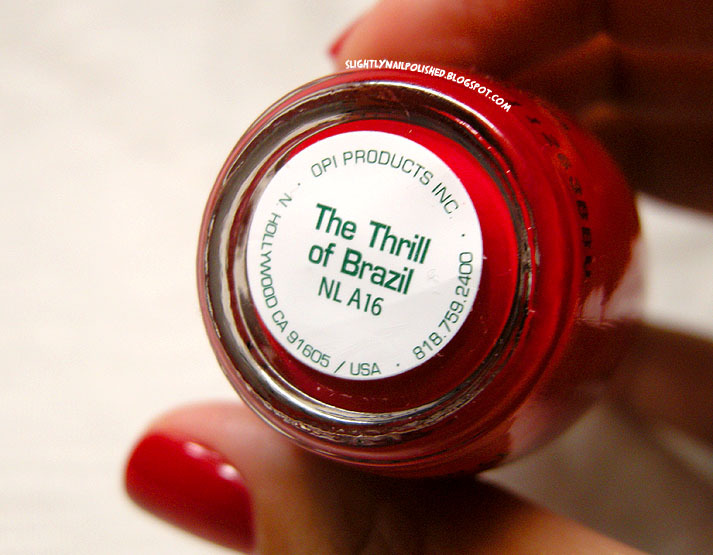 The Thrill of Brazil has quickly become my favorite red polish. I know, I know. 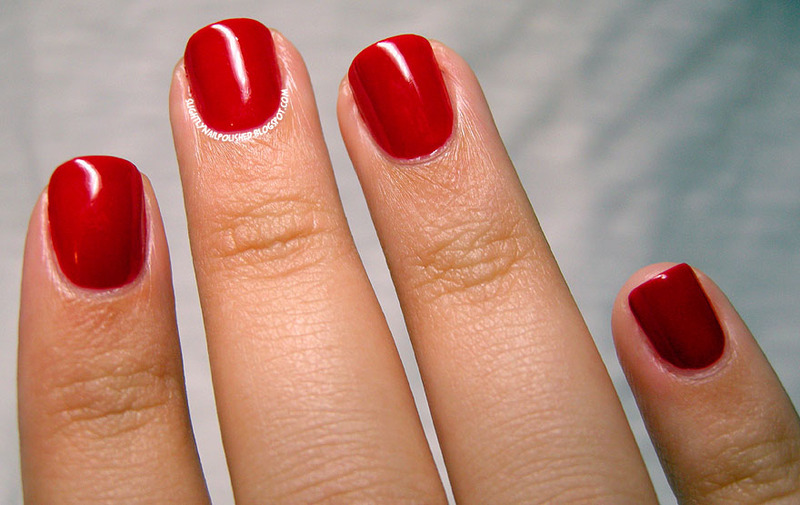 You're thinking 'what could possibly be so special about a standard, no shimmer or glitter, RED polish?'. Everything of course! This is the exact red I want on my nails that looks great against my skin-tone. It's not too orange or has a blue tint to it. The color is perfect. Application was a dream. I achieved perfect coverage with just 2 coats. No streaking, pooling, or bald patches. The formula was wonderful as well. It's not too thick or too thin. It dried really quickly as well, which was amazing! The only negative comment I could possibly make was that it chips really easily. No lying, within three hours of it being completely dry I had horrible tip wear. And, yes, I did cap my edges with base coat, color and topcoat. :( It made me a little sad. But I'm hopeful that it was just my Seche Vite acting up. I love this polish too much to give up on it so soon! The Thrill of Brazil by OPI is an amazing polish that I can't believe I lived so long without. It is a perfect year-round polish that goes with every season. It's a classic shade, very bright, cheerful, and nostalgic.